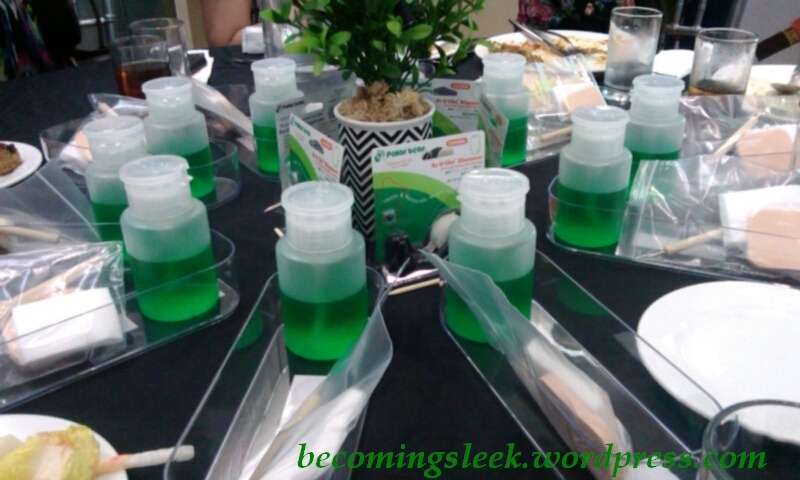 Last February 8 I attended my very first BDJBox Beauty Soiree. 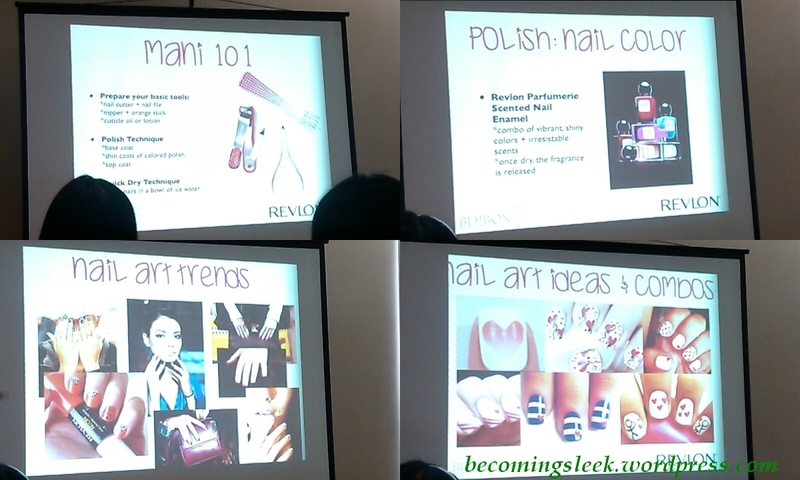 I felt I had to attend this because the topic is definitely one of my interests: nail art! This one is titled Nail Love, and is the first of the Revlon Nail Party Series. The guest speaker was a member BDJ’s own beauty ministry: Nicole Romero. She also blogs over at Beauty and Sparkle. Nicole discussed the basics of manicure and went into detail with nail art techniques. 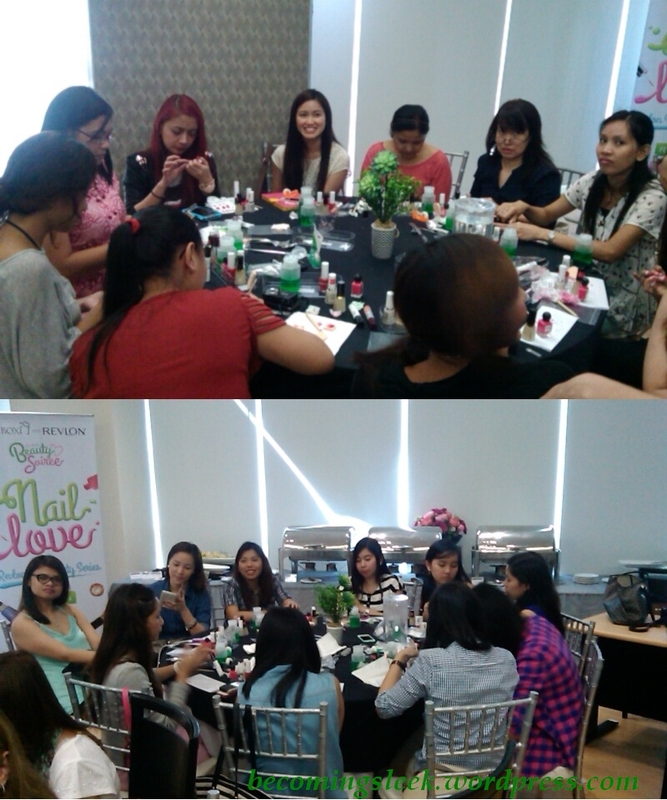 After her talk, the rest of the workshop was dedicated to attempting our own nail art based on her presentation. We were provided individual battlestations consisting of a bottle of nail polish remover (which smelled nice! ), some fabric squares, a makeup sponge, a double-ended dotting tool, and a tray. 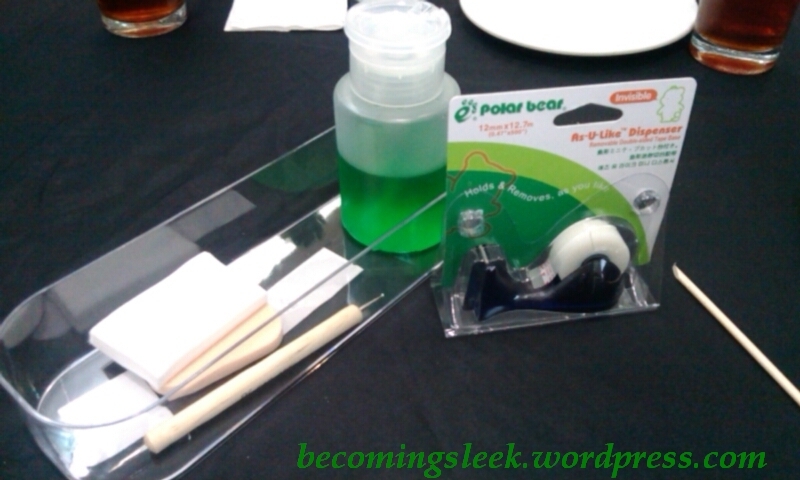 We were also provided some transparent tape and a wooden stick, to share among us tablemates. I am ready for battle! We were also provided the nail polish that we were going to use for our nail art. 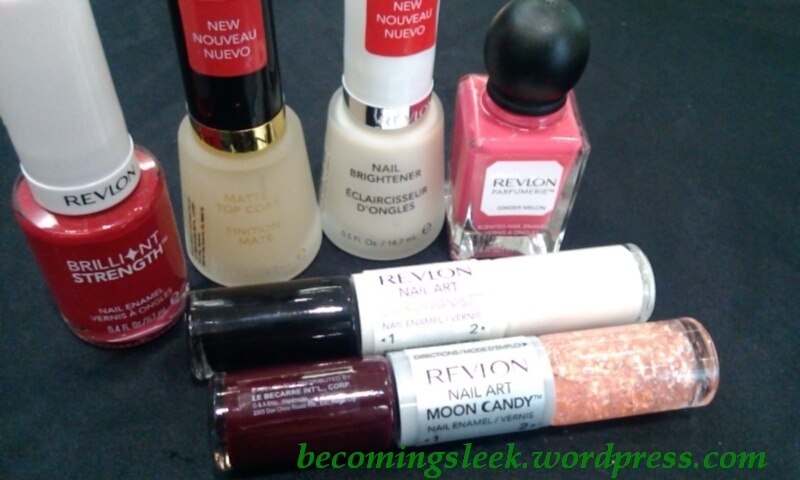 Revlon PH graciously provided all of these for each of the participants, and we got to take them home! Holy nail polish loot, Batman! Clockwise starting from the left in this photo: Revlon Brilliant Strength Nail Polish in Seduce, Revlon Matte Top Coat, Revlon Nail Brightener, Revlon Parfumerie Nail Polish in Ginger Melon, Revlon Nail Art Expressionist in Night and Degas, and Revlon Nail Art Moon Candy in Satellite. I’m pretty happy as these are actually my first Revlon polishes! We were told that the Parfumerie haven’t been released in the PH yet and we’re the first to try! It’s basically a nail polish that has a nice scent upon drying. This one smelled really sweet, kinda like cotton candy. To anchor the design I painted a red base with white dots on the pointer and pinky fingers. For the feature nails I have a shiny red heart on a base of matte black on the ring fingers, white stripes and sparkles on a plum base on the middle fingers, and more sparkles on a red and pink base on the thumbs. Here’s another shot of the finished product. I definitely still need more practice on tape manicures. The tape still took out a huge chunk of the base polish and I needed to paint over the destroyed surfaces resulting in a very uneven finish. My favorite is the matte black polish; it dries super fast and it looks soooo good! I was able to paint a right-hand version of it which is definitely inferior than the left. I definitely enjoyed my time at the Beauty Soiree! I met some new friends who have similar interests, and they were the nicest gals! I regret not being able to meet these other girls at the other tables. They seemed nice too! 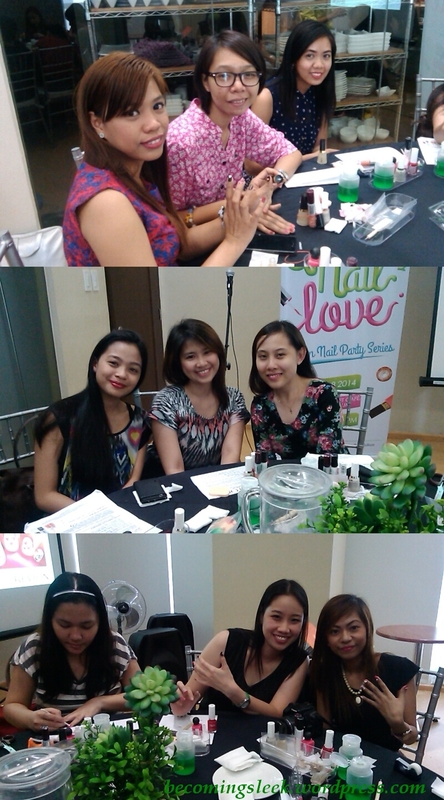 Thank you to the BDJ team, Nicole Romero, and Revlon PH for hosting this event! I am looking forward to the next installment in the Nail Party Series! It was! I hope to attend similar stuff in the future! I’ve been so busy since the year started that I didn’t get to join this one. I’m so sad, it looks like such a well-prepared (as always with BDJ) and fun event! Hi, it was nice meeting you last Saturday. Hope to see you again next event.